Hotels near downtown Jackson, MS can be both spacious and affordable, especially when choosing a Flowood hotel that boasts prime access to the heart of the city. Close to the Jackson-Evers International Airport as well as local hospitals like River Oaks and Baptist, Flowood hotels ensure that travelers are close to it all. A favorite for business travelers, guests enjoy access to a classic boardroom and are also near shopping and restaurants. Everything necessary for a great trip can be found right here, along with a side of southern hospitality. A number of colleges are also in the neighborhood, and we specialize in welcoming staff, professors, students and their families for extended stays. Whether its graduation or guests need a room for a term, business-friendly hotels are designed with comfort in mind. 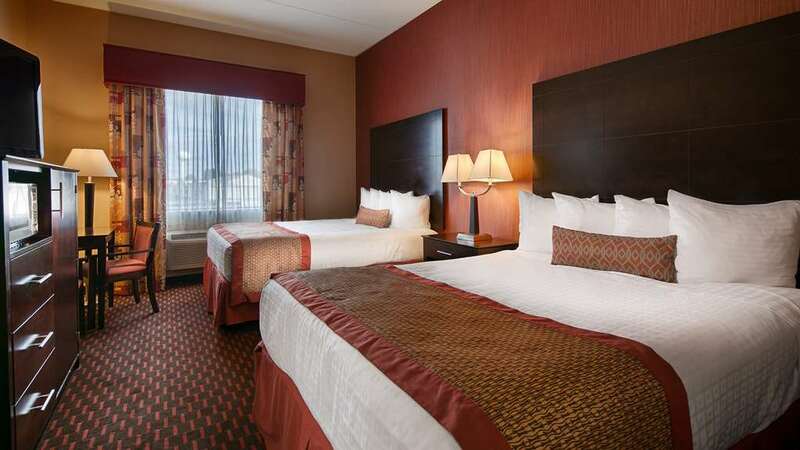 As a suburb of Jackson, MS, our Flowood hotel is located in a nicer area with access to the most popular attractions. The Mississippi State Fair can't be missed and is a big draw for many guests. Those who want a touch of culture and history rest easy knowing the Mississippi Agriculture and Forestry Museum is a short drive away. Whether it's the Dixie National Rodeo or boating competitions on the reservoir that top the itinerary, there's always something to do nearby. Those on business with the Newcore Steel Mill or AT&T are in good company at this Flowood hotel. With blocked rooms and easy airport access, traveling for work has never been easier. We're also proud to be a home away from home for those who serve in the Air National Guard and are conveniently close to the local base. Whether it's business with Ergon or a short getaway that's ahead, enjoy a friendly staff and a luxurious indoor pool open May through October. Free, fast high-speed wireless internet keeps you connected and endless attractions keep you entertained. Reserve a relaxing stay at Best Western Plus Flowood Inn & Suites today! Pool - Indoor pool Open May through September only.